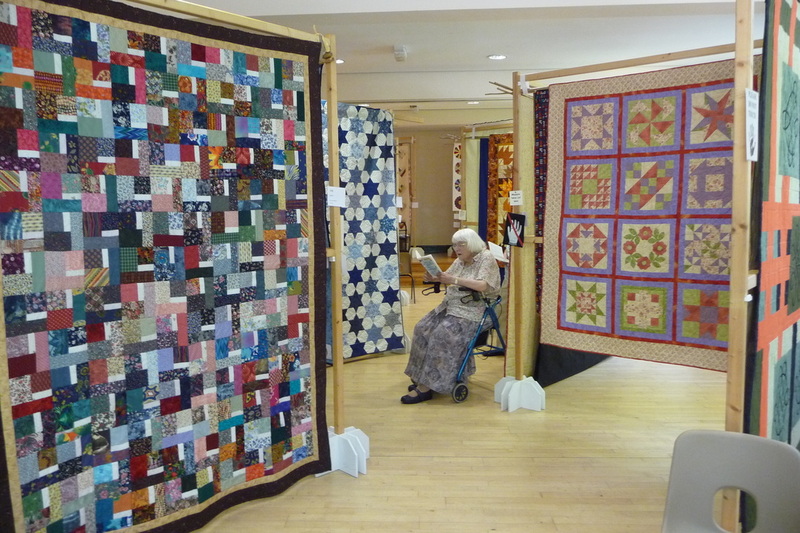 Our quilt display stands are available for hire. We have 14 narrow stands 79" wide and 11 wider stands 83" wide. All top bars are 94" high and they have a middle bar at 47" above the floor level. They can join in a zig-zag formation or as 'rooms' and there are enough uprights to make 4 runs altogether. There is a £50 deposit for up to half the stands and £100 deposit for more than half. Black Back Drops are also available for £5. The deposit should be paid in a separate cheque which will be returned to you when you return the stands in good order. Hirers must collect and transport the stands.